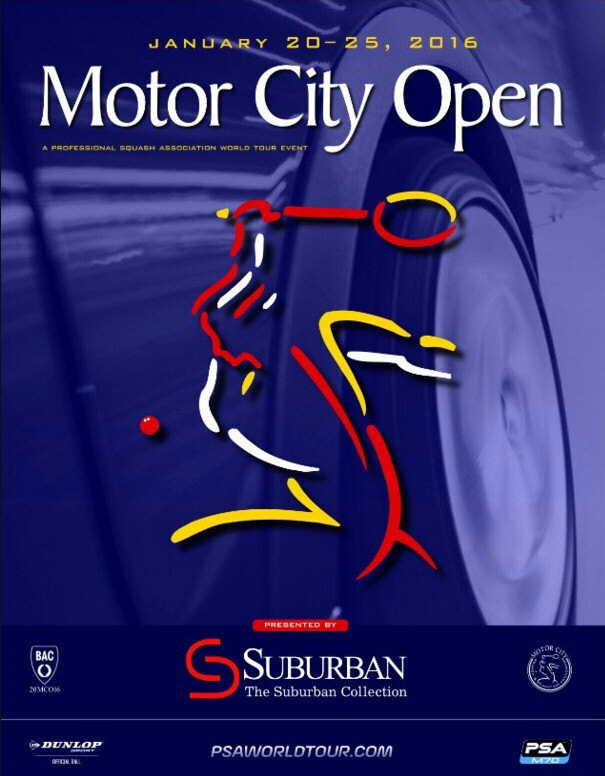 Ali Farag of Egypt showed up to the 2016 Motor City Open presented by The Suburban Collection as the 22nd-ranked player in the world – a big jump from his #88 ranking last year when he bowed out in the first qualifying round. Now, his star will rise even higher after taking down English superstar and World #3 Nick Matthew to claim the title of MCO champion. 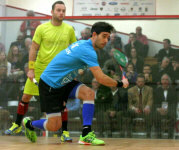 The win was Farag’s third consecutive defeat of a Top Ten player in as many days. 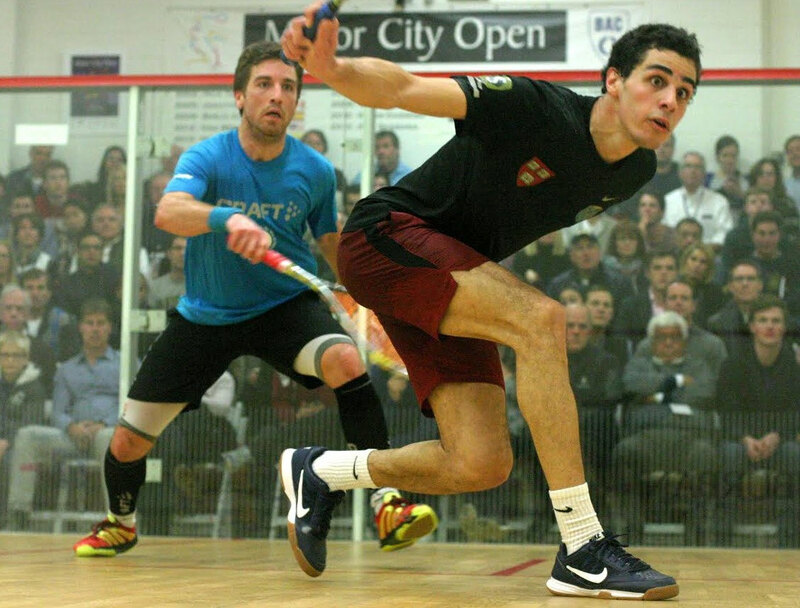 After defeating World #1 Mohamed El Shorbagy of Egypt in the quarterfinals, Farag again impressed against World #9 Frenchman Mathieu Castagnet in the semis before making his case as the best young player in the game by completing the trifecta with his victory over Matthew. 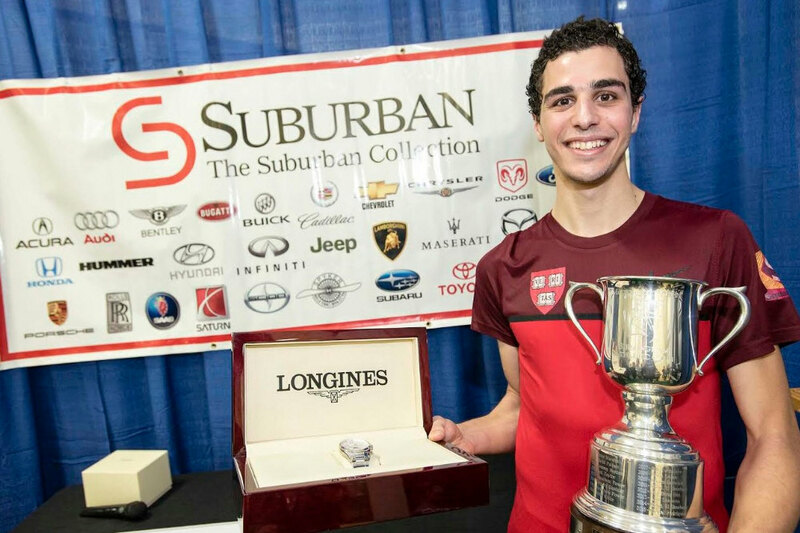 For his efforts Farag will take home a check for $10, 830 and a Longines watch from sponsor Greenstone’s Fine Jewelry. 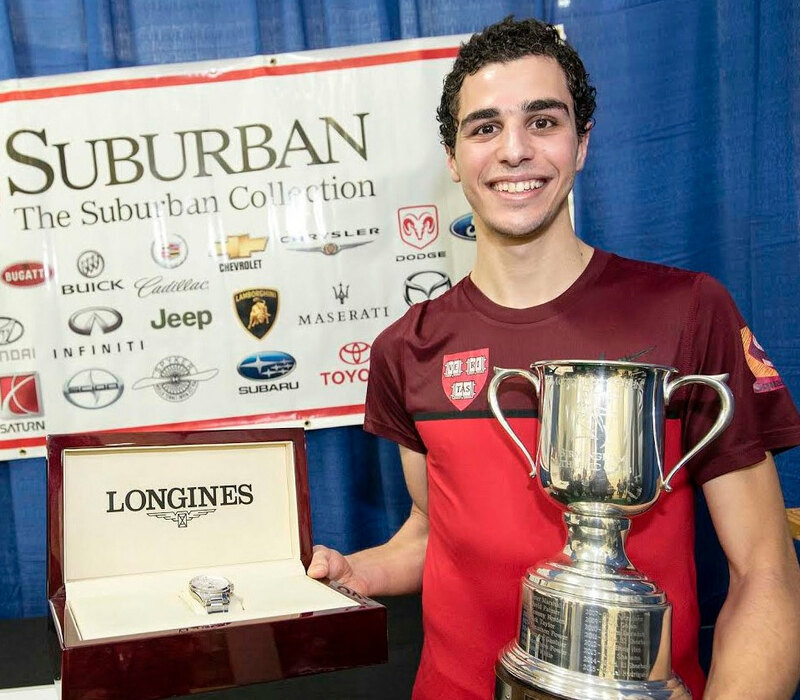 Farag had won three PSA titles prior to this weekend, but none could hold a candle to his route to the MCO championship. “This is definitely the best week of my career by far,” the 23-year old Egyptian said afterwards. 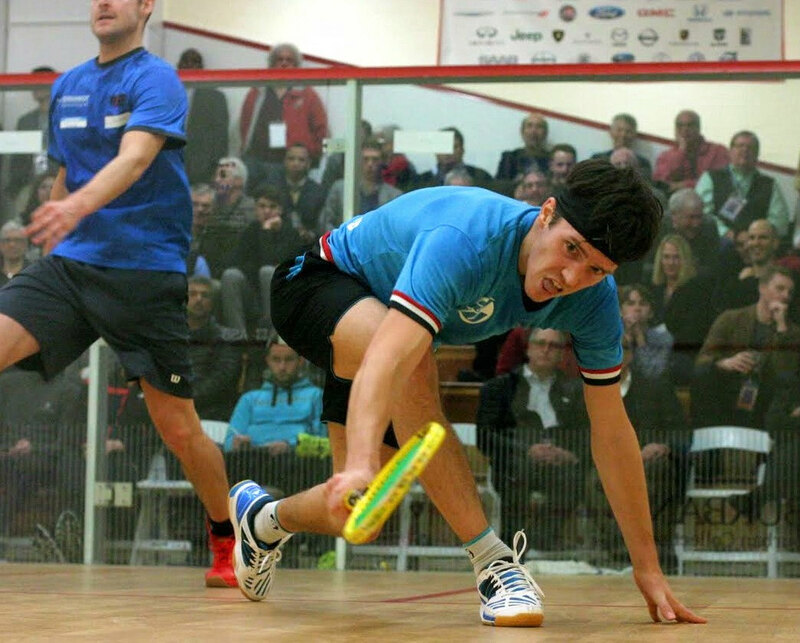 After falling behind 2-6 out of the blocks to the three-time World Champion Matthew, 35, Farag was able to find his rhythm, hitting two winners and crossing up the veteran on multiple occasions to take the first game: 11-7. In Game Two Matthew stormed back with vengeance, winning five straight points after opening the game 3-3. Game Matthew, 11-5. Match evened at 1-1. Farag was unstoppable in the final two games, coasting in the third, 11-6, then getting off to a start in the fourth that put everyone on notice that it would be the young phenom’s night. On the opening point of the final stanza Farag made a diving attempt to save the point. 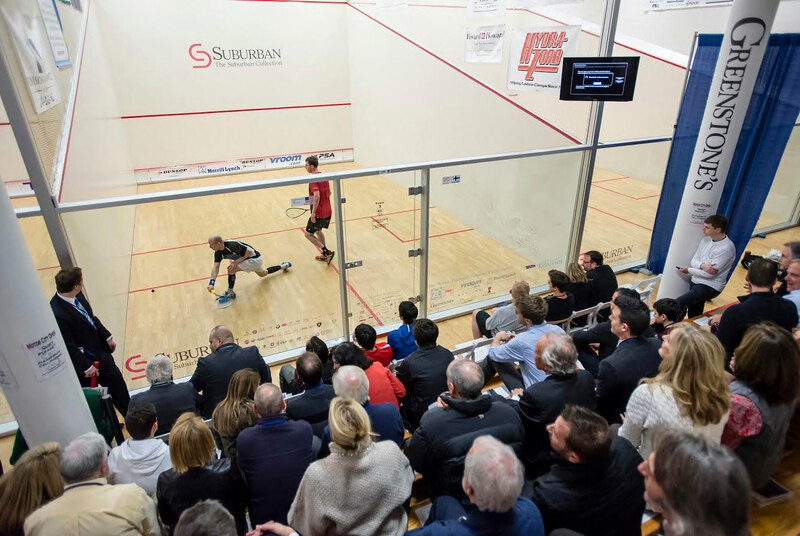 Two shots later, he hit a masterful backhand for a winner that brought the capacity crowd to its feet. Farag reached game point at 10-4 – and while Matthew was able to fight off three championship points, the Harvard graduate that turned pro barely a year ago finally put the Englishman away with another beautiful backhand, 11-7. 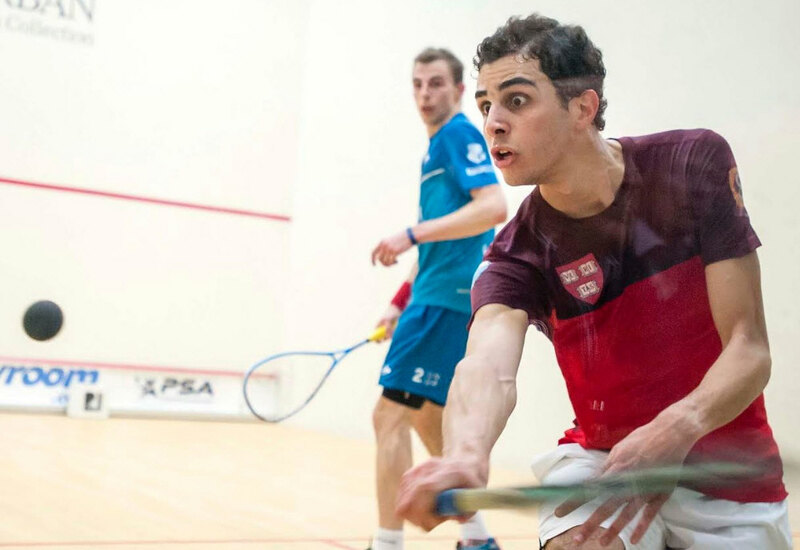 “In the third and fourth, you have to go up an extra gear if you want to compete,” Farag said. 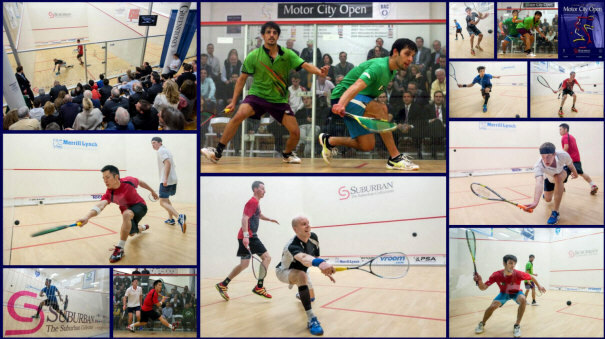 Receiving the MCO trophy, Farag credited all who came to watch him play over the last four days. The rising star said he would be back in 2017, and that he appreciated the opportunity to play in front of people who truly appreciate the players’ efforts on the court. 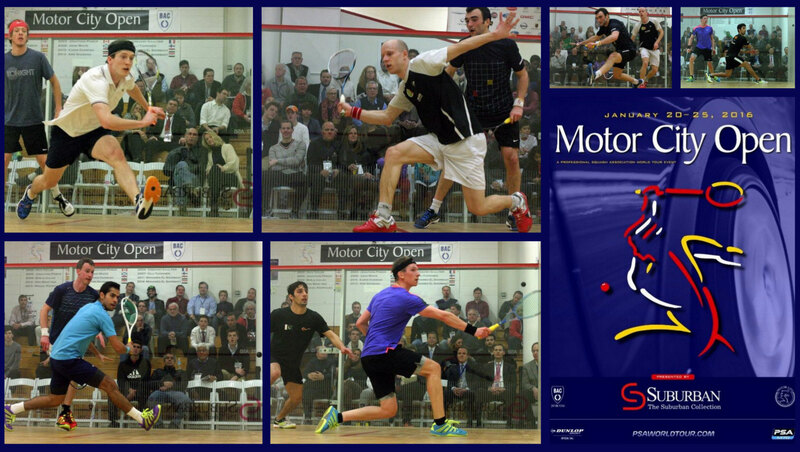 Giant-killer Ali Farag of Egypt continued his magical run at the 2016 Motor City Open on Sunday evening, downing France’s world #9 Mathieu Castagnet in the semis one day after taking out world #1 Mohamed El Shorbagy. 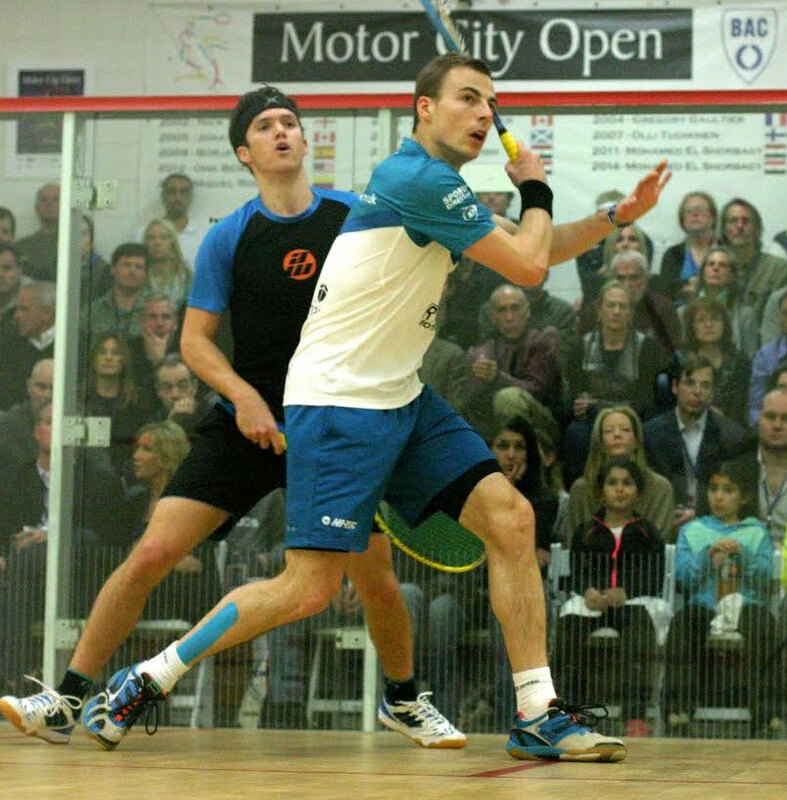 Farag moves on to Monday’s final, where he’ll have a chance at a third upset against world #3 Nick Matthew. 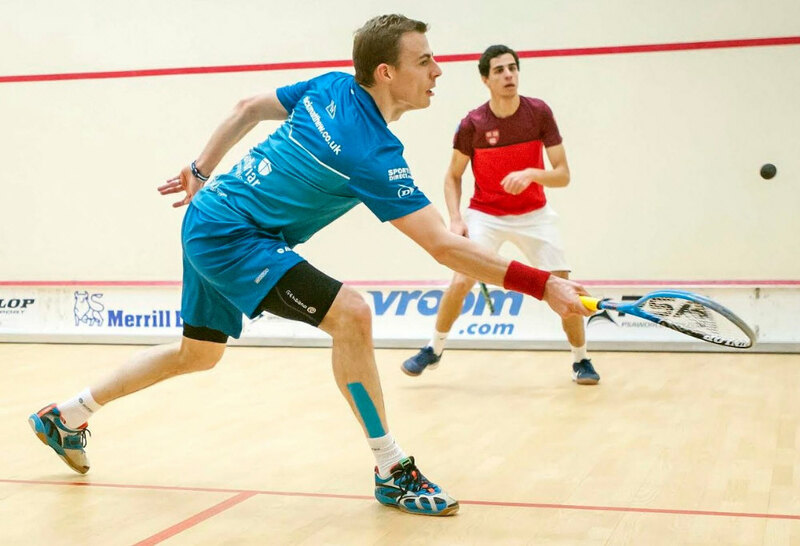 His determination against Top Ten players was put to the test early against Castagnet. 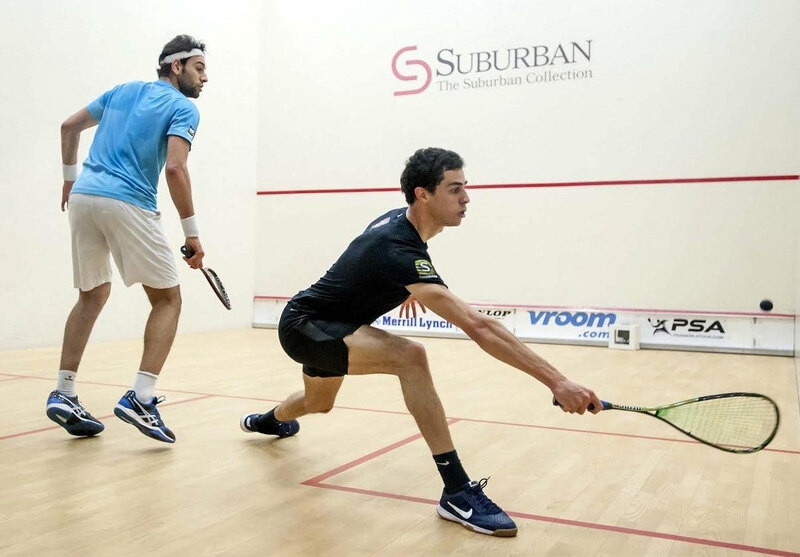 There wasn’t a lot between the two, as Farag held off his opponent through tough, first-game rallies: 12-10. 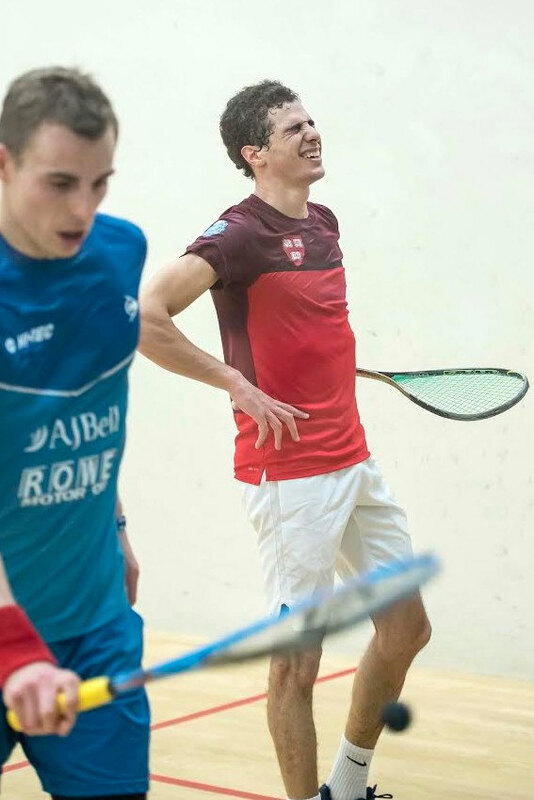 Castagnet took the second game, 11-9, and that final point was the first time that either player had held a two-point advantage in the stanza. 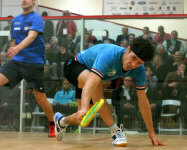 Farag opened the third game up with a 4-1 advantage, putting Castagnet on the run and trying to tire out the Frenchman. 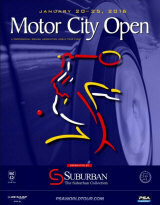 The 23-year-old won the third easily, 11-4. The fourth was another back-and-forth affair, with neither player able to gain more than a point advantage. 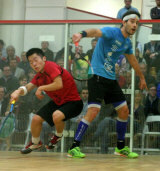 Castagnet was back in the zone, displaying great touch en route to a 9-8 advantage. 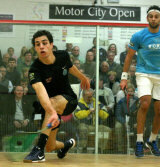 Farag dug in deep, however, and reeled off the next three points for the game. 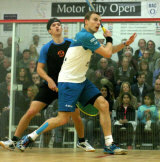 He finished the match off with an aggressive cross-court winner -and a standing ovation from an adoring crowd. Just a year out of Harvard University. the mechanical engineering major appears on a fast track to the Top Ten. 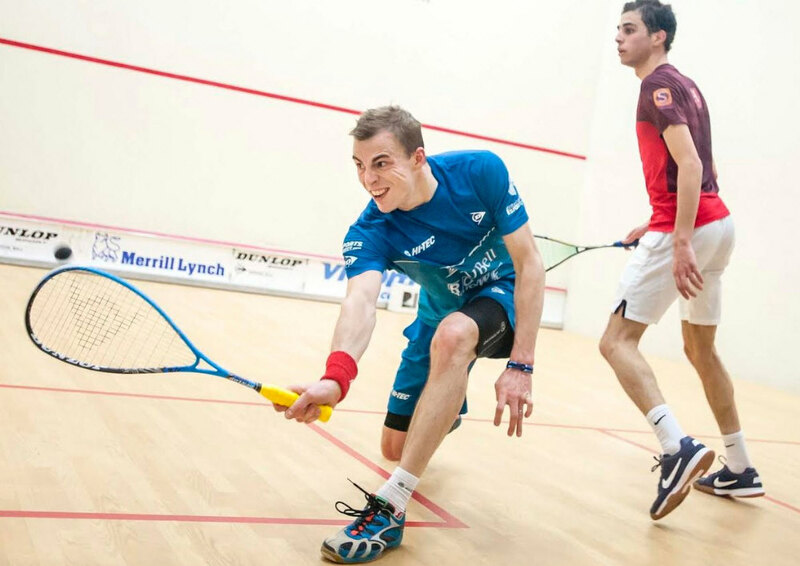 Next up in the second semifinal was World #3 and second seed Nick Matthew against former MCO Champion, Borja Golan of Spain. 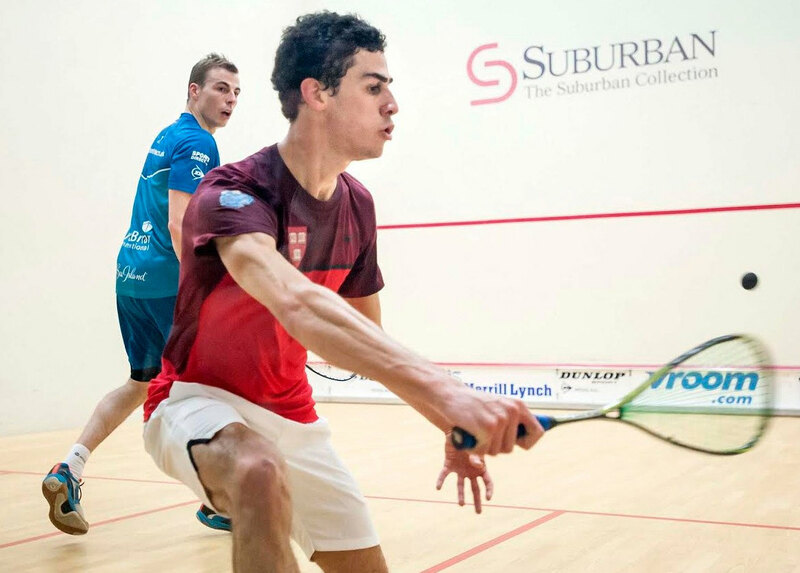 If Farag is intent on proving he belongs in the World Top Ten, then Matthew is determined to win back his #1 ranking after a struggle with an ankle injury last year. Matthew defeated Golan in four games, proving to be the more consistent player through a bushel-full of exciting rallies. Golan matched the English superstar stride-for-stride – hitting some masterful winners. 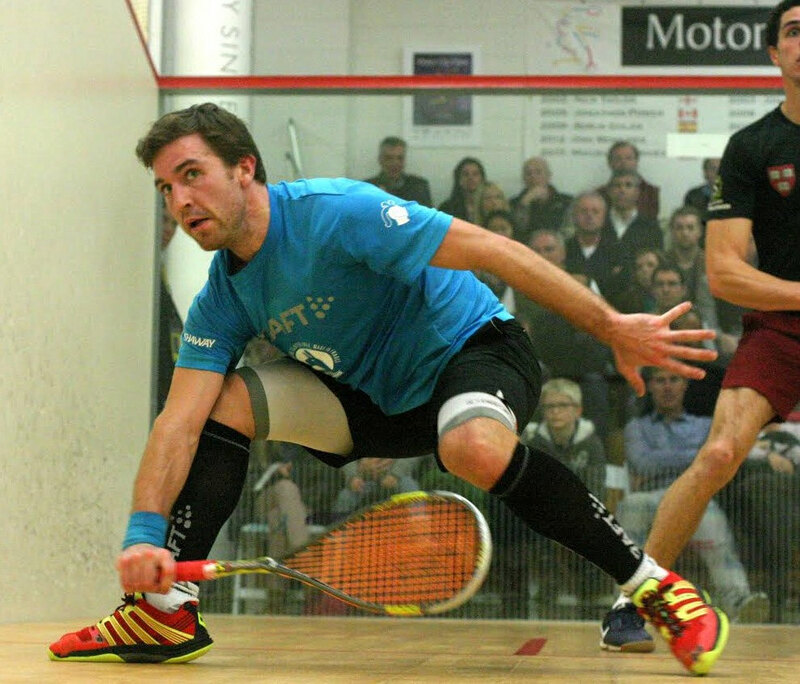 After dropping the first (11-8), the Spaniard hit a beautiful winner along the rail to take the second: 11-9. 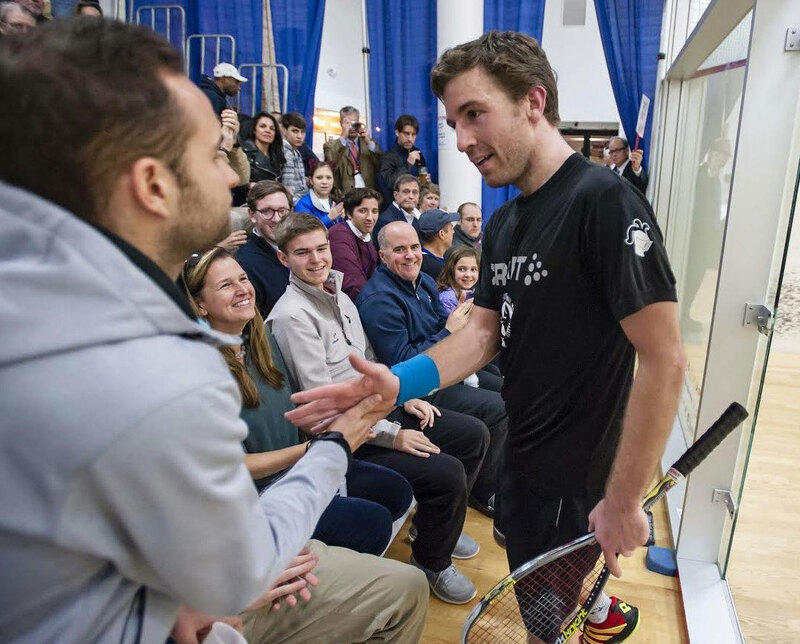 In Game Three Matthew lived up to his nickname, “The Wolf,” relentlessly chasing down balls and keeping rallies alive while the unforced errors piled up for Golan. The World #17 had hardly broken a sweat over the first two days of play, but Matthew’s consistency took its toll. Matthew won the final two games: 11-8, 11-7. The MCO final will be the first-ever meeting between Farag and Matthew. 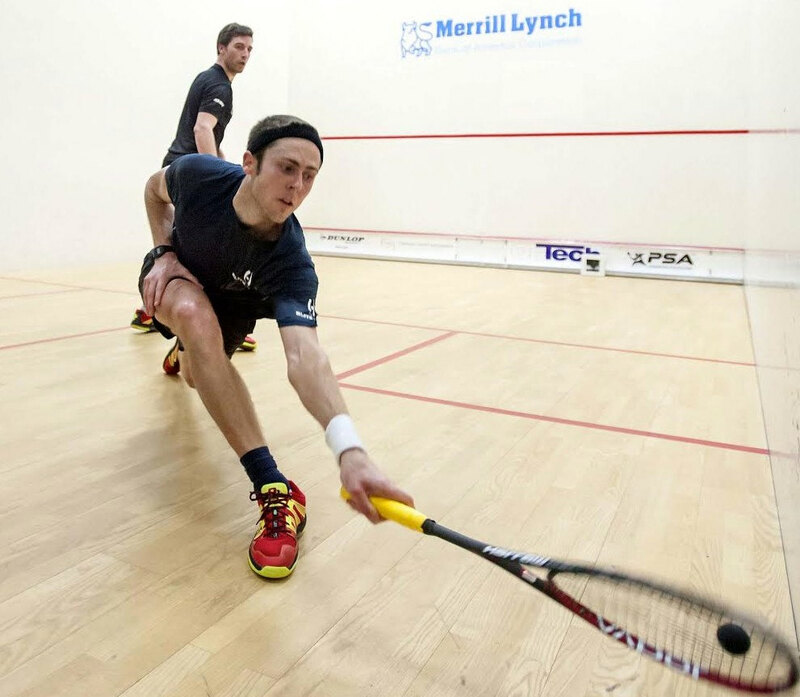 Farag is the youngest player in the field at 23, while Matthew is its oldest at 35. 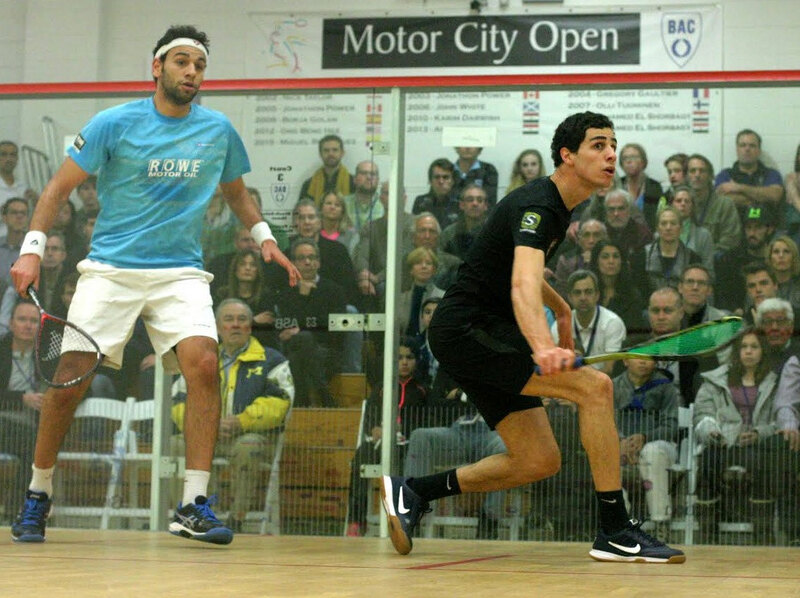 Ali Farag won three PSA titles in 2015 – but Saturday’s quarterfinal against fellow Egyptian Mohamed El Shorbagy in the Motor City Open was the finest moment of his career. He went toe-to-toe with the World #1 and came out on top in five games. When the first match of the day kicked off on Court 3, it didn’t appear that anything out of the ordinary was on the horizon. 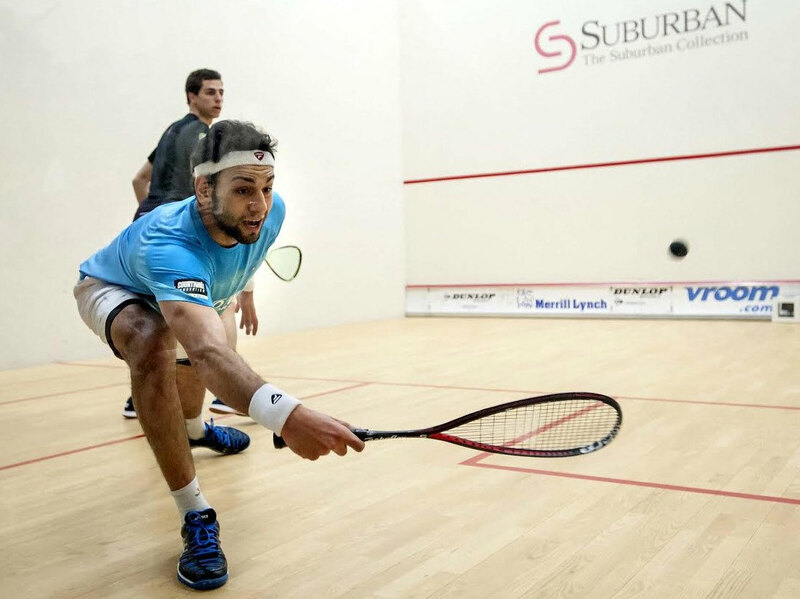 El Shorbagy took the first game over Farag with ease, 11-6. The two-time MCO champ came out of the blocks fast – in form and hitting pinpoint shots for winners. 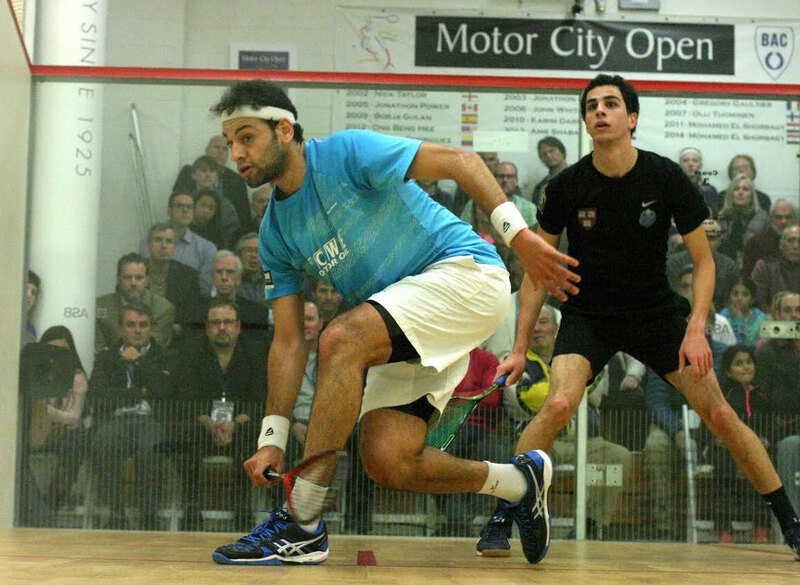 Things changed midway through the second stanza as El Shorbagy, leading 6-3, may have gotten too comfortable. 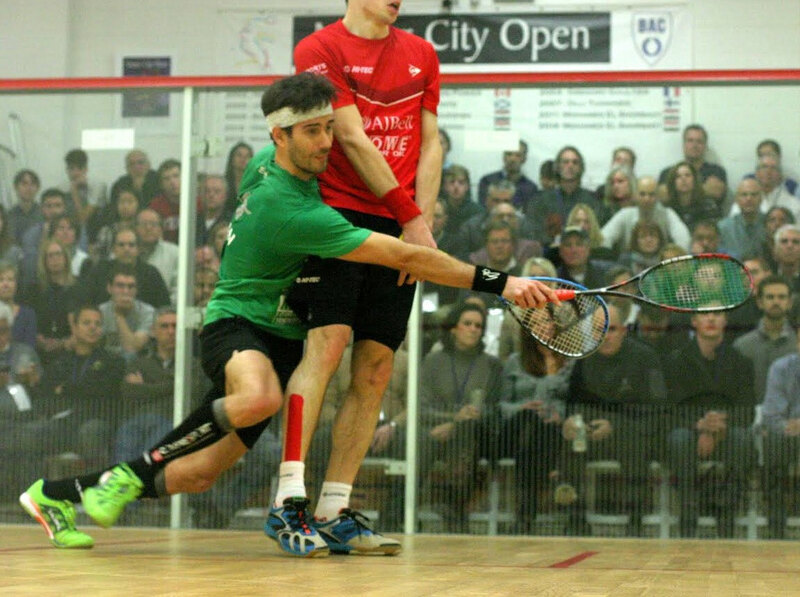 Farag fought his way back into the game and took it: 11-9. 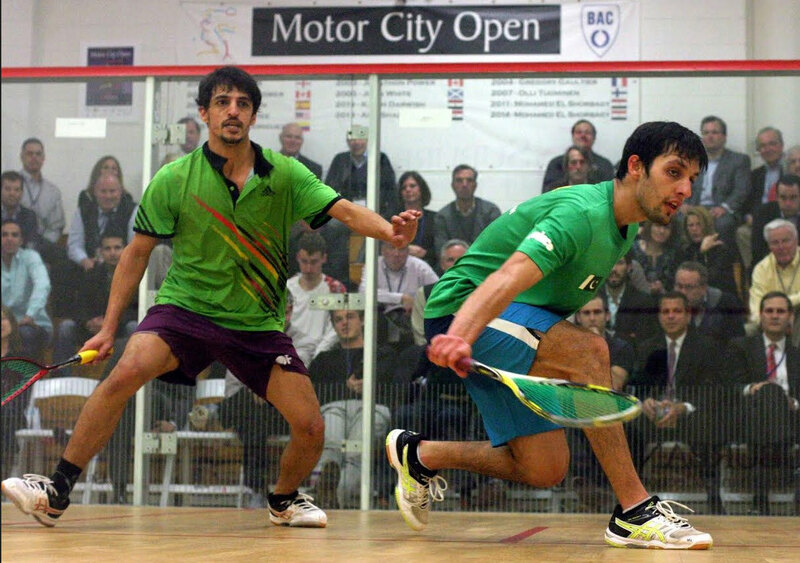 Seizing the momentum, Farag rode quality strokes to Game Three victory: 11-7. 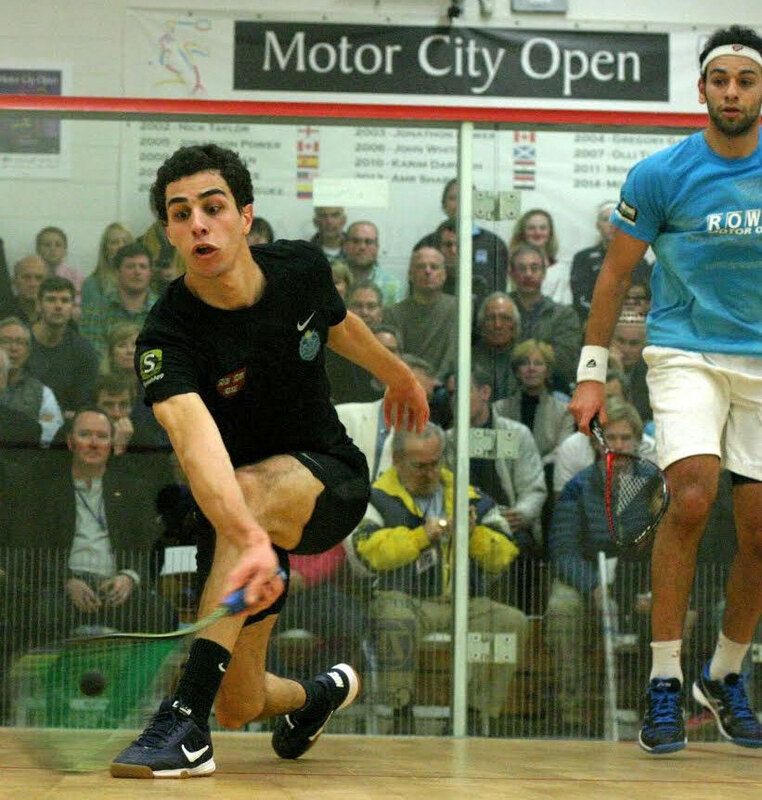 El Shorbagy fell behind 1-4 to open the fourth and appeared on the ropes, before reaching deep down to get back in the game. 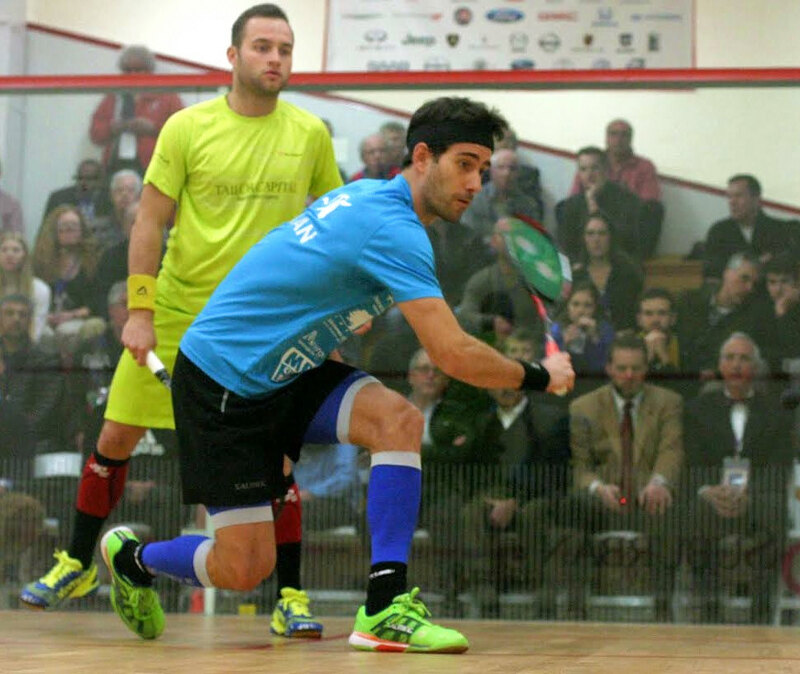 A pair of winners to give him game point, then Farag tinned to even the match, 2-2. 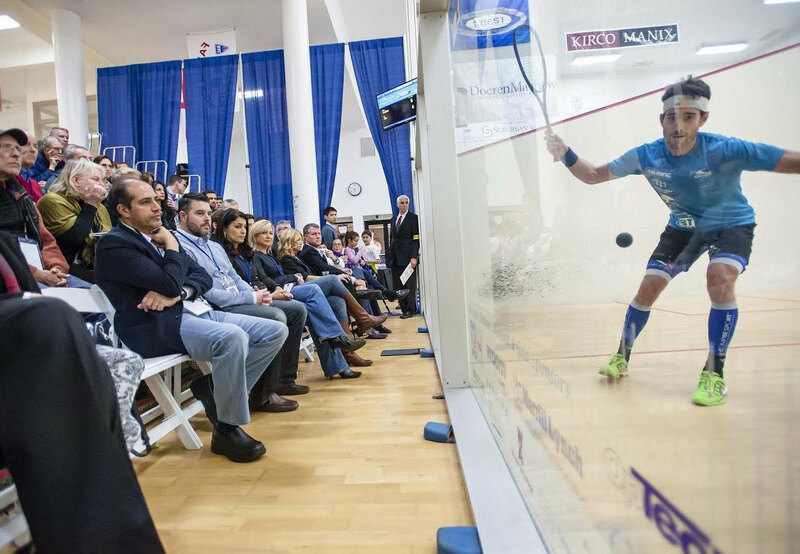 Game Five was neck-and-neck until 4-4, but Farag started bringing his larger opponent in with drop shot after drop shot, and El Shorbagy appeared to wear down as the unforced errors piled up. 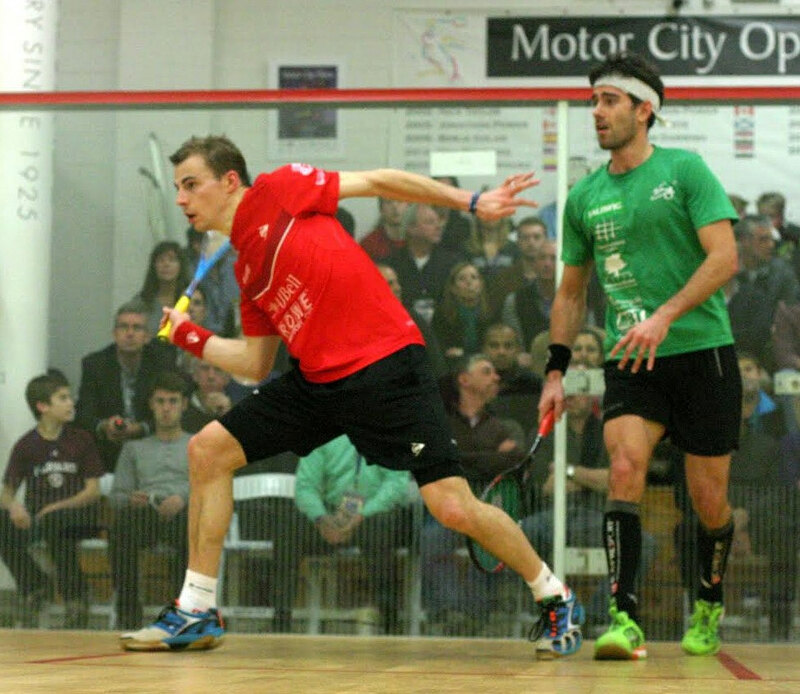 Farag continued to run the top seed back and forth, winning the match with an 11-8 triumph in the fifth. Meanwhile, Castagnet and Ryan Cuskelly were staging an epic of their own. 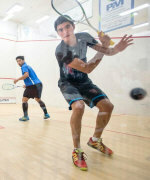 Castagnet came back from a 1-2 game deficit, dominating Game Five 11-2 to set up a semifinal showdown with Farag. “I was a bit nervous,” Castagnet said. 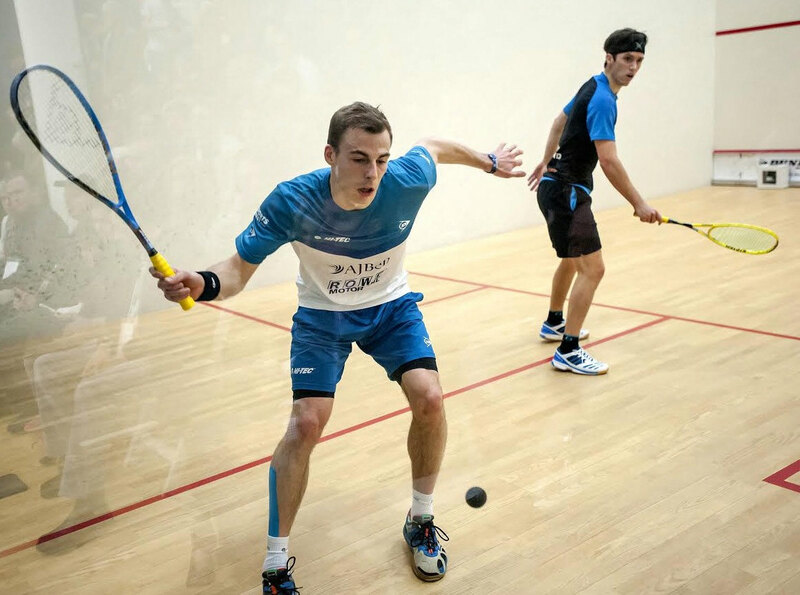 Cuskelly took advantage of a frustrated Castagnet in Games Two and Three, as the Frenchman had a running dialogue with the umpire. Castagnet dialed it in for the fourth and fifth games when it really mattered. 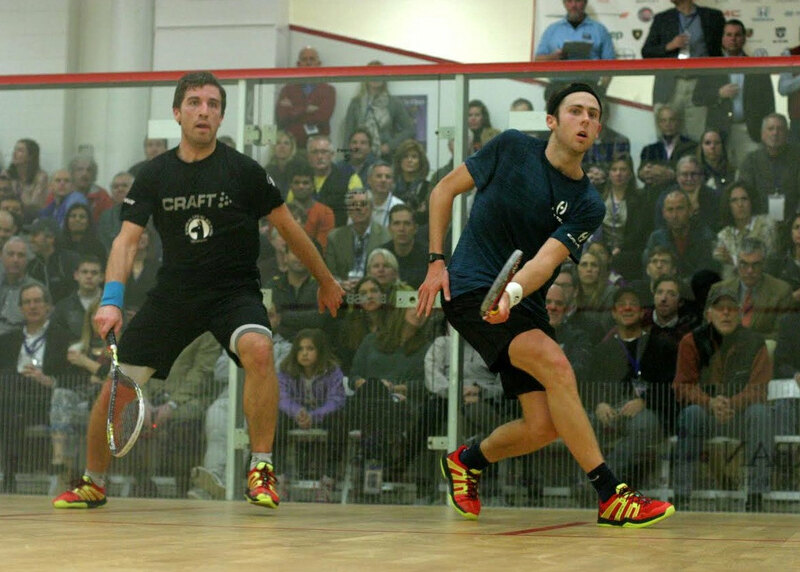 Number-two seed Matthew provided the capacity crowd with a much more dominant performance in his quarterfinal – defeating fellow Englishman Chris Simpson in straight games. 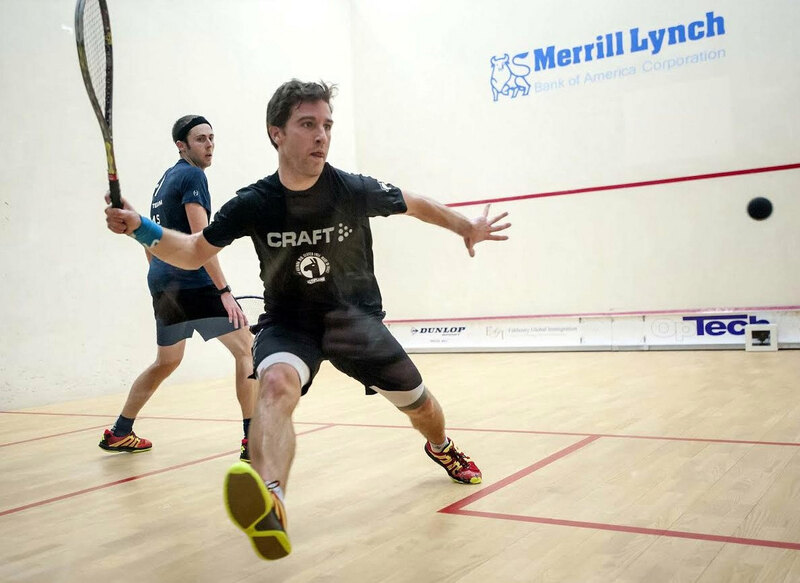 After the second seed’s dramatic, five-game triumph in Round One, Matthew was dialed in from start to finish against Simpson. The final match of the night showcased the 2009 MCO Champion Golan, who hasn’t broken a sweat through his first two matches. 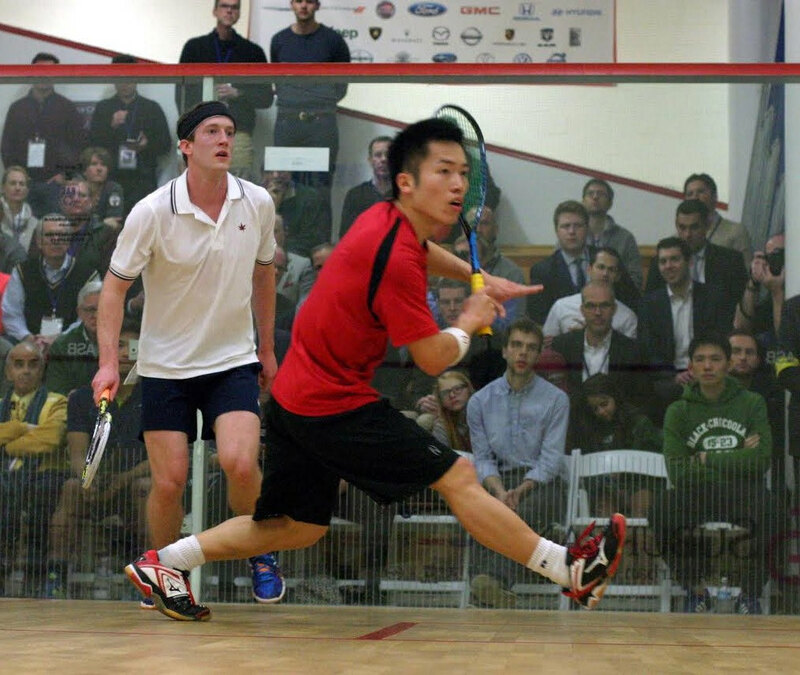 He took out Hong Kong’s Leo Au – the last remaining qualifier was playing in his fourth match in four days – in straight games. The match lasted just 35 minutes. 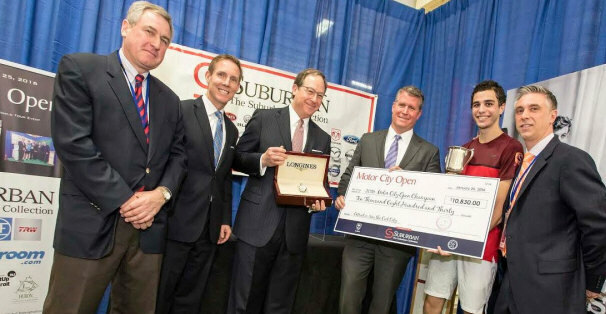 Friday’s Main Draw first round of the Motor City Open presented by The Suburban Collection delighted a capacity crowd at the Birmingham Athletic Club, as the world’s best squash players went at it for more than five grueling hours. 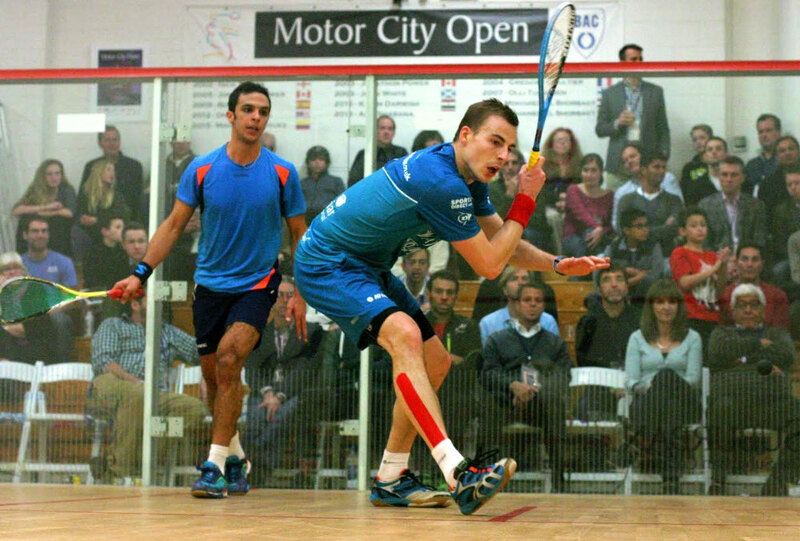 World #3 Nick Matthew, the tournament’s second seed, survived a big-time scare from 22-year old Egyptian Mohamed Abouelghar. 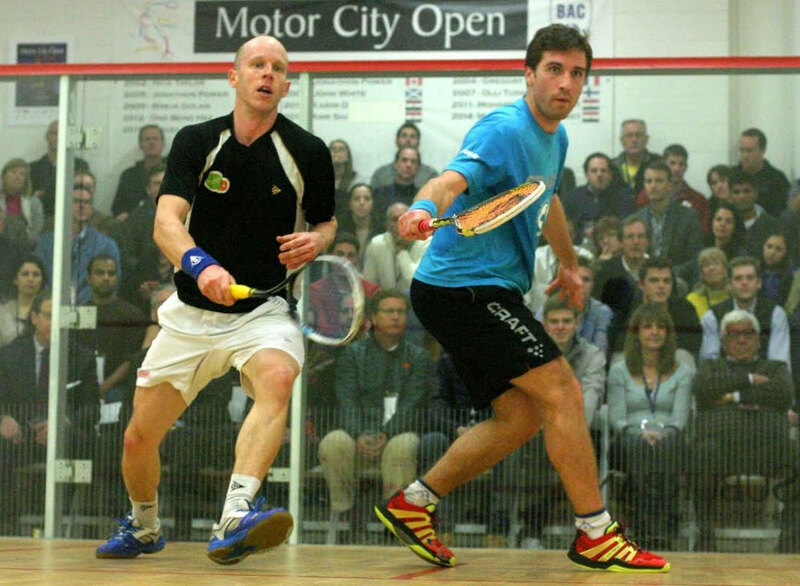 Matthew faces fellow Englishman Chris Simpson in the quarterfinals. 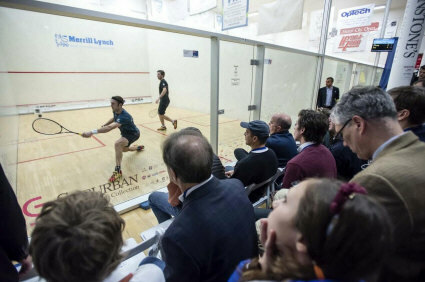 Also moving on is top seed and World #1 Mohamed El Shorbagy of Egypt, countryman Ali Farag, France’s Mathieu Castagnet, Ryan Cuskelly of Australia, Spaniard Borja Golan, and Hong Kong’s qualifier Leo Au, who produced the upset of the round as he beat fourth seeded compatriot Max Lee in straight games. 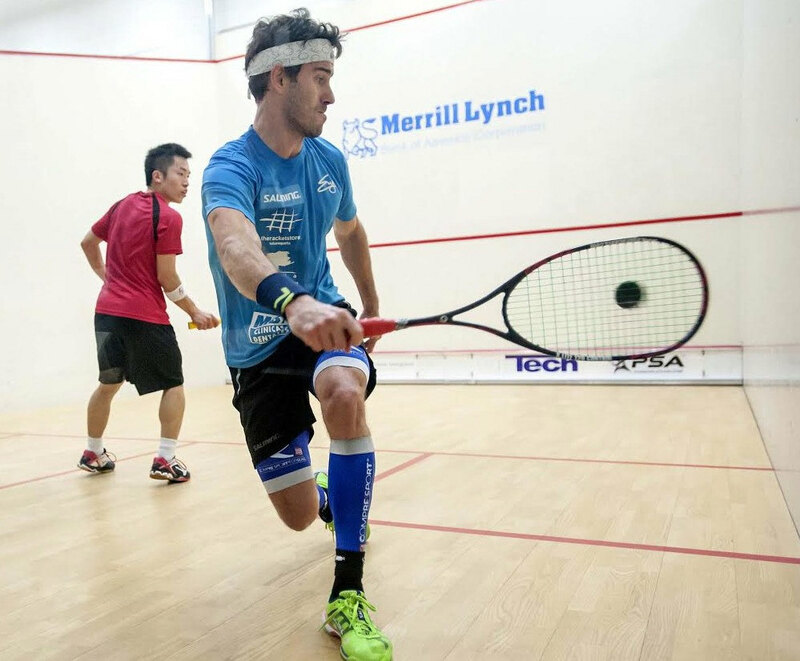 For the second day in a row Pakistan's Nasir Iqbal did his best Houdini impression - surviving a five-game marathon against compatriot Farhan Zaman to advance to the Main Draw, where he faces the in-form fifth seed Ryan Cuskelly. 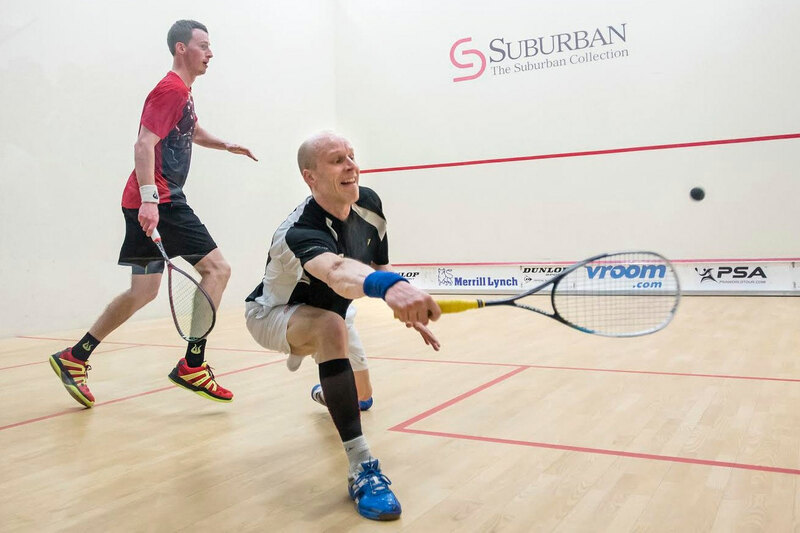 Olli Tuominen and Leo Au ended home interest as they beat Chris Gordon and Todd Harrity. Au now meets Hong Kong teammate Max Lee while Tuominen faces third-seeded Frenchman Mathieu Castagnet. Peru's Diego Elias produced another impressive win as he recovered from dropping the first game to beat Nafiizwan Adnan in four to set up an enticing first round match with Egypt's Ali Farag.